Are there plans to expand the maps and/or game content for Detective Agency? Yes! Stay tuned for future updates. Can I stop or slow down the game sequence to accommodate slower players? Timer sequences do not stop game progress, and cannot be changed or disabled. What devices are compatible with Detective Agency? The Detective Agency add-on game can be played on compatible iPads and Amazon Fire tablets, but not iPhones. What do I get when I order the Detective Agency add-on game? 1 magnifying glass, 1 map holder, 8 maps (4 double-sided) of Paris, NYC, Beijing, Rio, Cairo, Sydney, Osmo Town and the World, in addition to a getting started booklet. 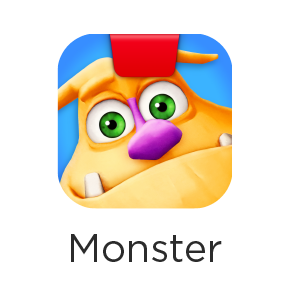 Note that an Osmo iPad or Amazon Fire base is required to play this game, and the app is available free of charge in the App Store. Detective Agency teaches children world geography, famous landmarks, cultural competency, critical thinking, observation, and social-emotional skills. It’s the second game in the Osmo Town Series, after Pizza Co.
What languages is Detective Agency available in? At launch in October 2018, the game is available in English language only. 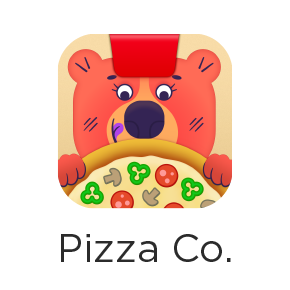 Note that the game characters speak Osmolean, the same make-believe language in the Pizza Co game. The extensive voice over content will become localized over time, as well as the readable text. Readable text will be translated using Google Translate. Can I repeat the narration in Super Studio if I missed it the first time? Yes, you can hear the narration again by pressing the narration button (bottom left) on the iPad. Note that the icon shows someone speaking. How can I clean my Osmo Super Studio Sketchpad? Lightly dampen and wring out the super sweeper included in the kit. Have a paper towel handy to wipe excess water. If the super sweeper is not damp when used, the marker ink will smear on the sketchpad. If there is any marker residue remaining, use CloroxⓇ brand disinfecting wipes or a similar cleaning product to remove. How can I purchase more Super Studio markers? For $10 USD you can purchase an expansion pack of markers on our website starting in October 2018. How do I care for my Super Studio markers? Make sure the cap is completely screwed onto the end of the marker, otherwise it will dry out. How do I get free shipping on Osmo Super Studio orders shipping in the U.S? Just place an order on our site between August 30th - October 20th, 2018! See terms and conditions for additional details. How do I get started playing Osmo Super Studio? Wet your super sweeper by lightly dampening and wringing out. Have a paper towel handy to wipe excess water. Can I purchase Coding Duo as a separate game? 2- check off the boxes for Coding Awbie and Coding Jam (which indicate that you already have those games and their game pieces), and you will be able to checkout with just Coding Duo in the shopping cart. Note that in order to play Coding Duo, you NEED the Coding Awbie AND Coding Jam game pieces too. Coding Duo is sold exclusively on the Playosmo website, and not via any retail partner. Do you have instructions for Coding Duo? Did you know that there is an in-app manual to help you get acquainted with Coding Duo? It can be accessed via the Settings menu, under Manual. This guide introduces the two blocks, coding concepts such as sequencing & subroutines, and game rewards, obstacles and objects. What do I need to play Coding Duo? A Coding Family kit with all three games is sold on our website, www.playosmo.com. Coding Duo is the only game in the Coding Family that is currently not sold separately on our website. However, if you are a teacher or librarian in the US or Canada, you can purchase Coding Duo separately through our school quote page (click on the 'Request a quote' button at the top of the Schools page to access it: https://playosmo.com/en/schools/). How many players can play Coding Duo? Coding Duo uses two lines of code as players make their way through fun worlds. Duo is designed to be a collaborative game, where players help one another, although it can be played by a single player, multiple players, or teams in either collaborative or competitive play. What is Coding Duo? What does it teach? Coding Duo is Osmo's newest game, joining Coding Awbie and Coding Jam as a fun way to learn coding concepts! While Coding Awbie teaches basic programming skills, and Jam teaches more advanced skills, such as nested repeats and subroutines, Coding Duo builds on those, and adds even more complexity, teaching children how to use synchronization, subroutines and loops. Coding Duo is recommended for ages 7-11 and is Osmo's most advanced Coding game to date. What do you need to play Coding Duo? Coding blocks from Awbie, Jam and Duo are required to play Duo. Duo comes with two new blocks, which can be purchased as part of our Coding Family Kit. If you are a teacher or librarian in the US or Canada, you can purchase Duo separately through our school quote page (click on the 'Request a quote' button at the top of the Schools page to access it: https://playosmo.com/en/schools/). 1. The number one reason is a lack of adequate lighting on the LaunchPad area. Make sure to increase the lighting, and be careful to position the light in a way that it does not cast shadows across the LaunchPad area. 2. If you are using Osmo with an iPad, make sure that the inserts in the base are correct for your iPad model. If you look down on the white base, you should see text like 'iPad Air - iPad Mini' or 'iPad 2- iPad 3 - iPad 4'. Please make sure the text matches your iPad model. See our video on this set up here. 3. Are the players hovering over the Hot Wheels cars, and, as a consequence, shadows are covering the cars? 4. Is the reflector mirror dirty? Please wipe with microfiber cloth. 5. Is the reflector mirror cracked? Please let us know (at support@playosmo.com) so we can send you a new one. If, after addressing this list, the problems continue, please send an email with pictures and / or video to support@playosmo.com for assistance. How do I get past the second level in Osmo MindRacers? There are a few solutions to this challenge, but it's mostly about getting Super Boosts. To get a Super Boost, the trick is to play a Boost Token when you are on a blue Boost Strip. You should toss the Boost Token just as your car reaches a blue Boost Strip, so the token lands on it and becomes super powered! Note: You only need to play Boost Tokens (the ones with an arrow icon) in this challenge. It's all about learning the timing of Boosts. - Get a Perfect Start to get a bonus boost right off the starting line! The trick is to launch your car as soon as you hear the fourth beep and see the "Go" text (on the iPad 2 and iPad Mini, players may need to press the pedal just _before_ seeing the word "Go" on screen). - Press the pedal during the race to add some extra speed to your car when you're not boosting. You only get a limited amount, though, so use it wisely! Do you have instructions for Osmo MindRacers? What is the purpose of the Osmo MindRacers tokens? There are three types of tokens, each with a different purpose: to boost speed, spin-out, or attack. Using the tokens strategically will help players win the race. There are a total of thirty-two (32) tokens included with each game. The blue and red tokens are identical, and each is completely unique, as are the spin-outs and attacks. During the game, each token may only be used once. How much does Osmo MindRacers cost? The MindRacers add-on game (for those who already own an Osmo iPad Base) is $59 USD, and is available for sale on PlayOsmo.com, or Amazon for U.S. customers only. The MindRacers Kit (comprised of the MindRacers game plus the Osmo iPad Base) is $79 USD, and will be available for sale mid-October 2017 in the U.S. on Amazon or Best Buy. **Note that MindRacers may be sold internationally in the future, however there is no specific timetable for this. Can Osmo MindRacers be played solo, or does it require two or more players? more than two players: a group of friends or family can play tournament style, with each race's winner facing a new challenger. My Osmo Masterpiece drawing is not being reflected, what should I do? You should be able to see both the lines of the image and what you're currently drawing from the image now. Can Masterpiece be adjusted for left-handed users? There's sadly no way to adjust Masterpiece for left-handed users; it's a limitation in the setup. The best you can do is to try to use your pen/pencil with your hand beneath your pen tip so you can see it while drawing with Masterpiece. With a different pen grip use of the app, you should be able to use Masterpiece to its full potential. How do I delete images in Osmo Masterpiece? To delete an image in Masterpiece, please go the History page and long press on an image. An 'X' button will appear, which you can then press to delete the image. 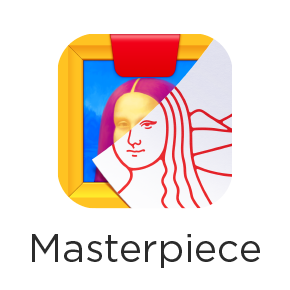 Please note that Masterpiece images are on your device only and are never uploaded or shared. What is the Osmo Masterpiece game? Osmo Masterpiece is a game that teaches drawing and creative confidence. 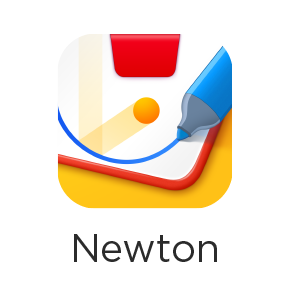 It leverages Osmo to turn your iPad into a drawing tool. With Masterpiece you'll get the proportion and perspective of your drawing exactly right. The only limit of what you can draw is your imagination! Take a picture of anything you want, be it a friend, a toy or anything online. Masterpiece will transform it into simple outlines so you can draw it to perfection. When your drawing is done, you can share an awesome time-lapsed video of your work with anyone you want! Where is Osmo Masterpiece? It's not in the box! Masterpiece doesn't require any special pieces, it's played with a pen and paper or a whiteboard. Just download the app and start playing! For the best possible play experience, we recommend playing with the Osmo Creative Board. What ages is Osmo Masterpiece designed for? Masterpiece was designed for ages 5-11, but people of all ages enjoy it! How do I uninstall a custom album in Osmo Words? To uninstall a custom Words album, first tap on it in the Library section of your Words app. A small trashcan icon will appear in the top right corner of the image. Tap on the trashcan icon to delete the album from your iOS device. Can I make a custom Words album with no images (text-only)? How do I play the custom albums I have made in Osmo Words? To play one of your own albums in the Words app, go to the Library and look under "Mine" (the second section from the top). All of your albums should be there. Tap any album to include it in the game. Please don't forget to deselect the albums that you don't want to be included. You may need to scroll down and open all of the subsections in your Library to make sure only the right albums are selected. Then go back to the home screen, tap "Play", and choose any mode to play the album(s) that you have selected. Please note that custom albums only work in Zen, Zen Junior and Versus modes, and not in the Adventure Mode. When you're playing an album, you can tap the gear icon in the top left corner to change the settings (which include the ability to hear the words, turn hints on and off, enable lowercase letter recognition, and set difficulty level so that only easier or harder words from the album are shown in the game). How can I increase the difficulty in Osmo Words? How do I publish a custom Osmo Words album? You can publish your custom Words album by clicking "Make Public". It is then reviewed by Osmo staff. The approval process currently takes less than one week. If you need it reviewed fast, please let us know the exact name of the album as well as the email address used for your myOsmo account. What is the Osmo Words game? Osmo Words is a puzzle game. Players guess and spell out the on-screen hidden words by tossing down letter tiles. A related picture gives the clue. Words is fun to play alone, but also has modes for playing with friends and family. Work together as a team in Zen mode or compete with Versus mode. Words comes with over 150 default puzzle images, but if you guess your way through those it's easy to log on to myOsmo and download new albums created by the community. This added content can extend your playtime endlessly!